The developer plays a central role in the process of creating (e)Learning. It’s a difficult position to be in. You need to work based on the directions and within the requirements of the management and you need to deliver learning opportunities for people who most of the times know more about the matter than you. I think that e-Learning developers are a special kind of person: they want to deliver high quality work and they are (most of the time) very modest. Above all they have didactical skills and knowledge they want to apply in their work. But as a developer you have to work in a commercial environment (an e-Learning company or an e-Learning department of a company). I noticed that developers often have trouble managing that environment. They don’t claim enough ‘space’ for themselves and they end up compromising. The basis of every learning opportunity are learning objectives. You need to asses before and afterwards what the scores on these objectives are. You need to translate these objectives to content and assessments that connect the business need for knowledge and skills with the individual learning need of a learner. Don’t think for the learner, facilitate his thinking. Offer him opportunities instead of directions. The great thing about giving the learning objectives a central role is that they will help you manage your environment. You can use them to manage expectations from your managers and they give you a way to report to them in a way both parties understand. They will also help you to communicate with the learners, managing their expectations too. Learning objectives make clear what an e-Learning course is about and they help the learner to select the proper course. Pre-assessments based on these objectives will tell the learner his ‘learning gap’ and post assessments will tell him the result end the progress he has made. You will probably notice that it is very difficult to create the learning objectives for certain courses. 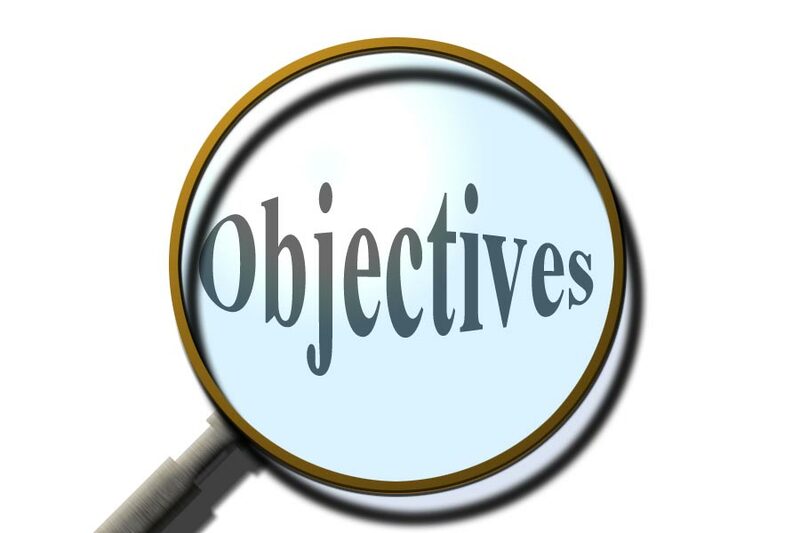 If you can’t define the objectives, don’t develop the course, it is probably not solving a real business issue. This is a simple example how they can help you manage the environment. Your standard procedure for developing a course after you receive an assignment is to create the ‘learning objectives’ and have them signed off by the principal. This way it is clear for both parties what the learning outcome should be, or in managers words what business problem they will solve. To make it possible to work with learning objectives it is obvious that your e-learning software (especially your authoring environment and your LMS) need to support working with learning objectives. You need to connect assessments to this objectives and it should be possible to inform the learner about them and to measure and show his learning progress in relation to them. As a teacher your biggest risk is that you think that you must make all decisions, that you must be in control. That in fact is a real ‘old school’ approach. With e-Learning the learner is in the lead, you are not. All you need to do is to inform and guide him the best way you can. Don’t use your branching facilities to link them to the correct chapter or next step in your scenario, give them a study advice and let them decide. It is their responsibility not yours. The last issues remaining are how to create content that the learner can relate to and how to create a course on a subject that is not your expertise. The answer is simple: involve SME’s in your process. Use them to deliver the knowledge, content and insights you need and use them to determine if the course appeals to your audience. You will do the design, didactics and the editing, you are responsible for the creation process, use SME’s for all the rest. two more post will follow.